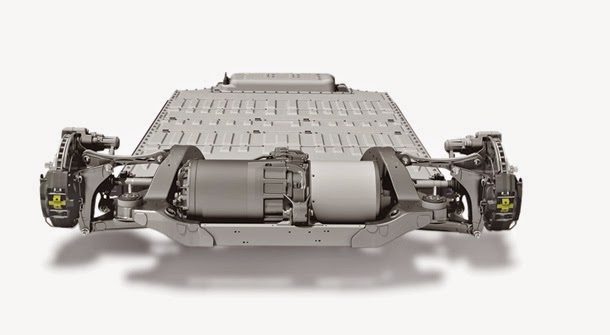 Wide bandgap (WBG) materials such as silicon carbide (SiC) and gallium nitride (GaN) are best positioned to address emerging power electronics performance needs in electric vehicles (EVs), with SiC displacing silicon as early as 2020, according to Lux Research. As silicon struggles to meet higher performance standards, WBG materials are benefiting critically from evolving battery economics. On Tesla Model S, for example, a 20% power savings can result in gains of over $6,000 in battery cost, or 8% of the vehicle's cost. "Efficient power electronics is key to a smaller battery size, which in turn has a positive cascading impact on wiring, thermal management, packaging, and weight of electric vehicles," said Pallavi Madakasira, Lux Research Analyst and the lead author of the report titled, "Silicon vs. WBG: Demystifying Prospects of GaN and SiC in the Electrified Vehicle Market." "In addition to power electronic modules, opportunities from a growing number of consumer applications -- such as infotainment and screens -- will double the number of power electronic components built into a vehicle," she added. Government funding is driving WBG adoption. The U.S., Japan and the United Kingdom, among others, are funding research and development in power electronics. The U.S. Department of Energy's Advanced Power Electronics and Electric Motors is spending $69 million this year and defining performance and cost targets; the Japanese government funds a joint industry and university R&D program that includes Toyota, Honda and Nissan.